A string of more than a dozen car break-ins in Belmont has some drivers changing their ways. Michelle Roberts reports. A string of more than a dozen car break-ins in Belmont has some drivers changing their ways. Police said in all 17 cases the thieves did not have to break any windows because the doors or windows were left open. Mihai Nedelcu said he saw an alert from his neighbor on the social media site NextDoor about a string of car break-ins Thursday night. He is now planning to install surveillance cameras at his home. Police said a thief or thieves have canvassed the neighborhood near Notre Dame de Namur University and broke into 17 cars. They took a couple laptops and a GPS device. 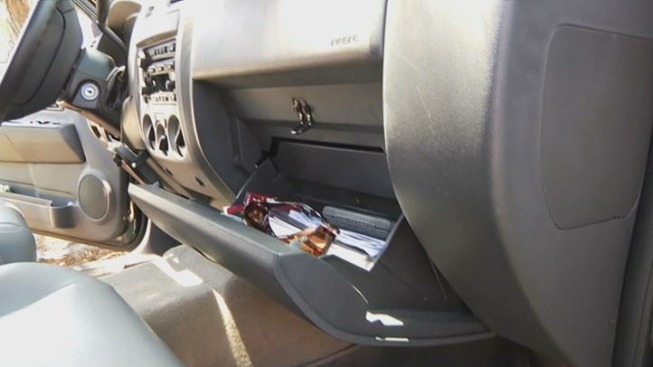 But in most of the cases police said the suspects just rummaged through the car looking for valuables. Some neighbors speculate the thieves target the area because of the easy access to Highway 101 and Interstate 280. Police said they do not know if the suspects were on foot or driving through the area. An investigation is ongoing.